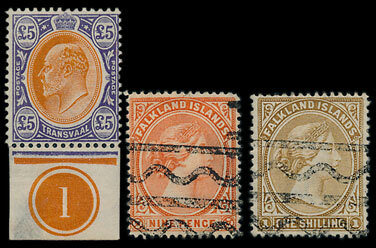 In the Warwick & Warwick August stamp auction a collection of Queen Victoria mint issues proved to be very popular. The lot, including Line Engraved, Embossed & Surface Printed issues, was offered with an estimate of £5,000 and was eventually knocked down for £11,800. 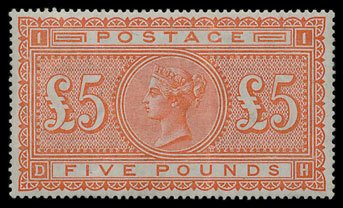 Also in the GB section, an 1867-93 £5 Orange with Anchor watermark sold for £2,830 and an 1891 £1 Green reached £2,600. 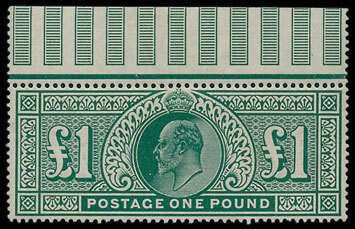 Possibly the bargain of the day was a very fine King Edward VII £1 which a canny purchaser picked up for £800. Considering the catalogue price is £3,000 the buyer should be very pleased. An ‘extensive & valuable’ collection in 11 albums attracted a lot of interest. 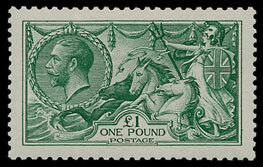 Offered at £2,500, the lot was run up to £4,960. A Canada 1891-1902 9d & 1s each with special parcel cancels sold for cancels sold for £260 and a Transvaal 1903 £5 sold for £1,180. As so often China was the pick of the foreign section. 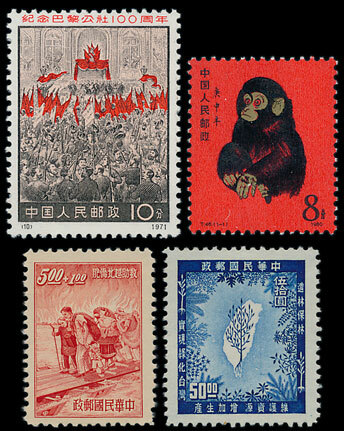 A ‘comprehensive’ PRC collection offered at £3,500 sold for £6,800 and a similar Taiwan collection sold for £3,650. 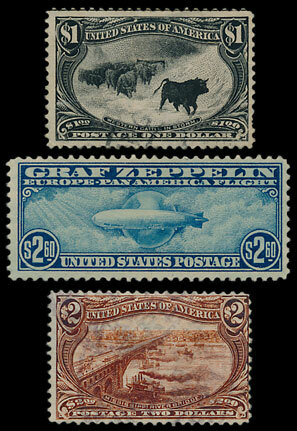 An extensive USA coln sold for £4,250. A huge accumulation of low value donated properties contained in 20 boxes was offered for £150 with the proceeds going to charity. The lot sold for over £1,000 so many thanks to the bidders and eventual buyer, the recipients of the proceeds will be announced at a later date.